View from Hotel Tokinosumika of the Tokinosumika Resort Our first visit to Hotel Tokinosumika with kids was May 2012. (We had stayed in other accommodation in the Tokinosumika resort before and after that). At the time my son was 2 and my daughter 15 months old. The room was ideal for them. It was a 10 tatami room with built in bunk beds, AND a Western type area of the room with two semi double beds, toilet, bathroom and sink. Futons are provided, which you take out at night to sleep on. It had a beautiful view of Mount Fuji from a bay window with two seats built in. The room was air conditioned. The rooms are very reasonable (please see the link to the hotel below for up-to-date rates) and are charged per person. You can opt to have dinner included or not. They have long cushions you can borrow for free in the reception area. You can use the Kirakubo hot spring in the hotel for free (see paragraph below) and for a reduced rate you can gain access to any of the other hot springs on the resort. You also get a reduced price for a lot of the attractions in the Tokinosumika resort, for example the impressive Big Bang Playground and Art Museum. The two down sides to the accommodation; there was a very faint smell of smoke in the room, but my sense of smell was heightened with pregnancy and DH couldn’t actually smell it all. The room wasn’t particularly sound proof and until about midnight we could hear a group of young lads having a great time. We were awake ourselves and that sort of sound doesn’t disturb our children when they are asleep so it didn’t particularly bother us. Added in 2016: On our last visit in summer 2016 we noted how much the hotel has aged and suffered from wear and tear in the last 4 years. The bathroom and toilet had some mold and dust. The bathroom is a unit bathroom. The bath is quite low and not suited to someone with lower mobility. The place is in need of a lick of paint. If you choose to have breakfast included it is buffet style in a large breakfast hall. Its not the best buffet I’ve ever been to, but its not the worst either. They also have dinner available, but with the choice of restaurants available within the resort you might prefer to venture out. The restaurants in the hotel have high chairs for babies and toddlers. Accommodation and breakfast is free for toddlers and they will provide you with toddler plates and cutlery to use. FOR MORE INFORMATION ON THE TOKINOSUMIKA RESORT IN ENGLISH CLICK HERE. The hot springs, as well as the whole resort of Tokinosumika, are very family friendly. 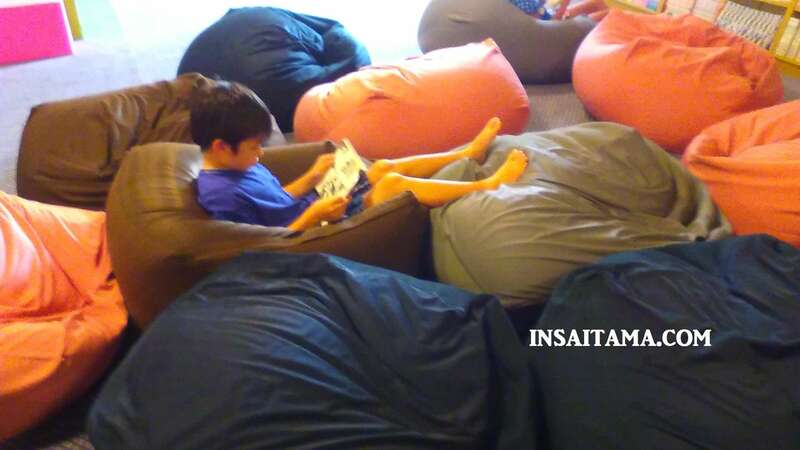 They have rest and eating areas as well as a small play area for children in one of the rest areas, where there is also a huge selection of manga for older children to read in comforable bean bags. The restaurant has a huge bay window which looks onto the resort and the glorious Mt Fuji. On a clear day it is a spectacular view. In the ladies there are a number of different baths inside including a salt bath and a jet bath. 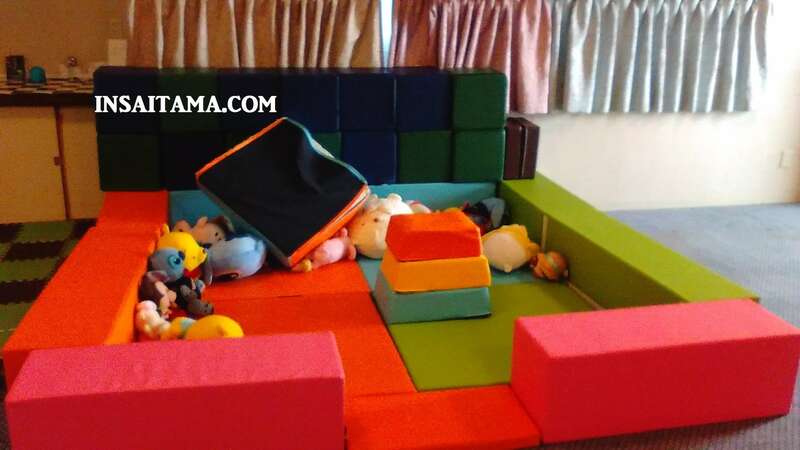 They have a tub bath which Moms and babies can enjoy together. They also have plastic tub baths for washing babies in before soaking. They have lots of useful facilities for babies in general. Outside there is a large rotemburo, plus smaller ones including one in a cave. They have sun loungers on a mezzanine beside which there are out house saunas. There is a water fountain for drinking from for free, plus they have vending machines, where you can purchase drinks. The changing area has hair dryers and products for cleansing your face. There are coin lockers for storing your valuables. Guests of the hotel don’t need a key, but guests who are just there for using the hot spring need to get a key for the lockers at reception. Up-to-date room charges and more information (in Japanese) on the Official website of Tokinosumika (linked).